The winner of this year’s IMCA Discovery Award, which the Jury organizes in collaboration with the International Music Academy in Liechtenstein, Chinese flutist Yuan Yu, recently played two concerts in Asia. The first recital took place at the Yamaha Hall in Ginza, Tokyo, and a few days later he performed another recital in this native Beijing. 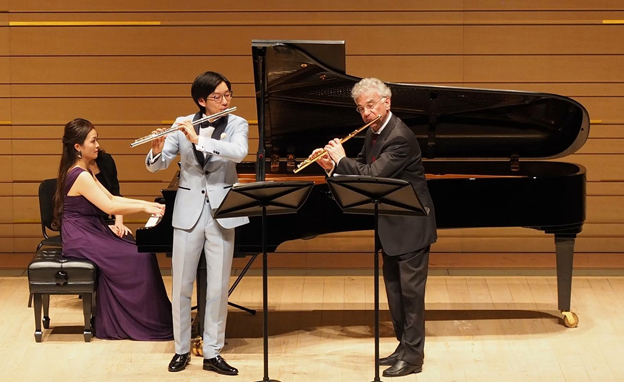 At the Yamaha Hall he had a ‘surprise guest’ at his recital, and that was none other than the renowned Hungarian flutist Andras Adorjan. 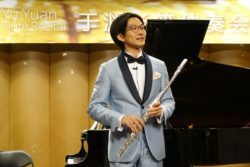 In May, Yuan will be playing at the 12th Slovenian Flute Festival 2018 and in July he will give a recital in Kobe, Japan.